Ideal for use on golf courses. 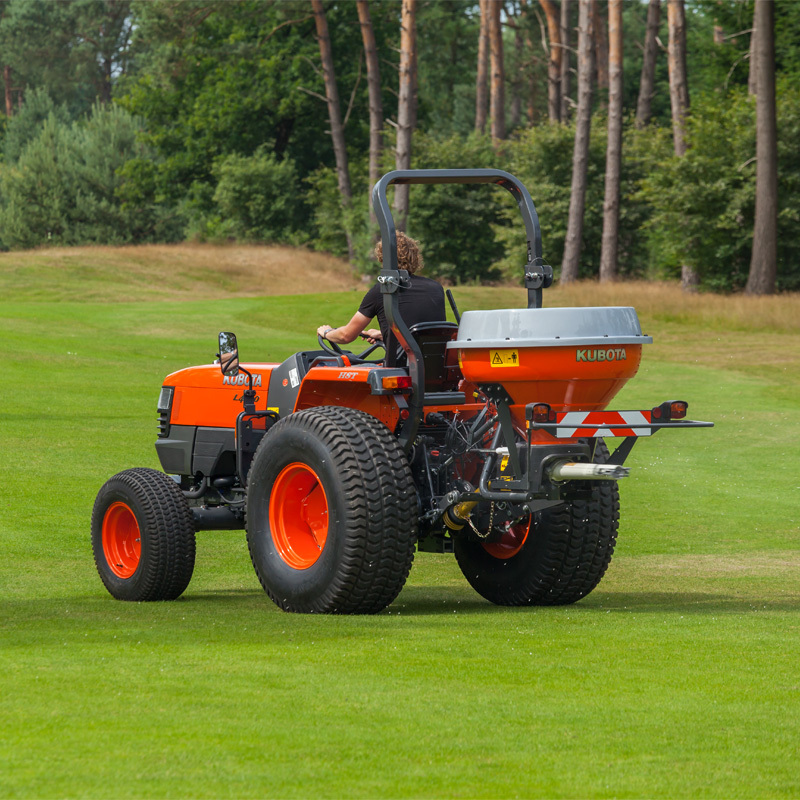 This smallest model of the Kubota pendulum spreader range is ideal for use on golf courses, sport field and grounds, as well as in many horticulture and municipal applications. 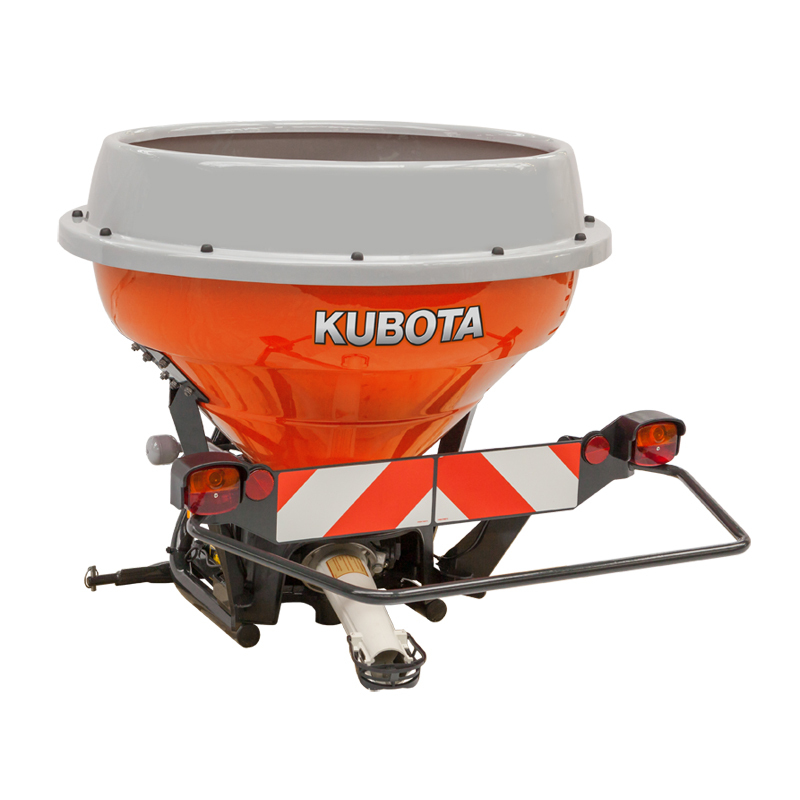 The VS220 has a hardwearing polyethylene hopper with a basic capacity of 200 litres and an optional extension rim to create 330 litres hopper capacity. The compact design in combination with the short spreading surface gives you an optimal spreader for working in small areas. Spreading width from 1 – 15 metres is possible.